Turn nap time into a party with this vibrant, stimulating and colourful throw blanket that displays lovely Dora with rainbow. The brightly coloured pictorial pattern will add swift fun aura to your kids room, teaching them to be resourceful, kind, and gentle. Its 100% polyester fleece material makes it is sumptuously warm, soft for a serene night sleep in chilly winters. 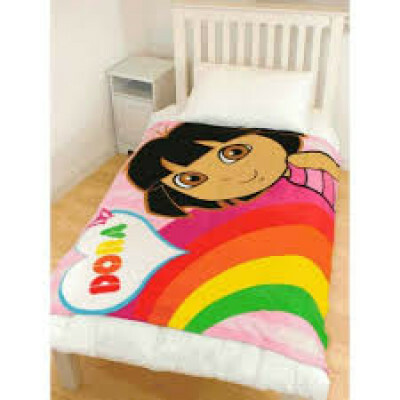 This beautiful throw blanket comes in 125cm x 150cm size and is conveniently machine washable.